Happy New Year — Year of Pig 2019! A sign of good fortune, this carved wooden pig greets A3 visitors. Chinese New Year officially begins on February 5th, 2019 marking the start of the year of the PIG. Paired with the Earth element this year, the Earth Pig is said to attract success in all spheres of life making for an auspicious year! In Chinese culture, pigs are a symbol of wealth and their chubby faces and big ears are signs of fortune. Optimistic, gentle and generous are characteristics of a pig personality. Pigs are said to enjoy life and entertainment and, being fiscally minded, are motivated to work hard for the occasional treat and find security in tangible objects they can hold onto. According to Chinese astrology, 2019 will be a year full of joy, friendship and love. This is the year to enjoy the simple things in life by helping others, being friendly, forgiving mistakes, and feeling optimistic — in addition to being a great opportunity to make money and a good time to invest. 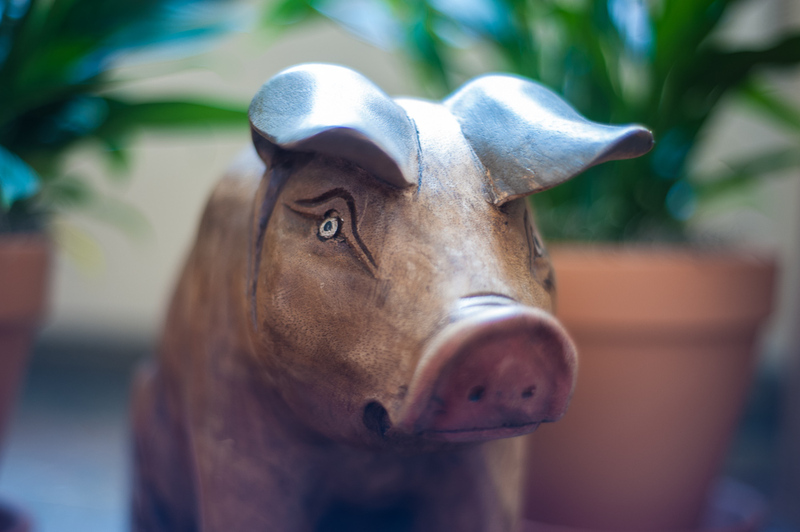 To bring good energy into your home during the Year of the Pig the key is to blend comfort and calmness. Much like a peaceful river flowing through beautiful farmlands, your home should feel like a serene retreat with relaxing colors, natural textures, and warm décor to create a tranquil, functional environment that pleases the Earth Pig. Wishing you a prosperous Year of the Pig 2019. Gong hei fat choy! This dining room feels of warm sunshine, nourishing food and good company. Natural stone, rustic wood, and painted cabinetry make this sunny kitchen a happy place to be. We think this room would be most pleasing to the Earth Pig with its warm decor and natural textures.